I will be furious if the Director’s branch nominates Martin McDonagh. No no no no and more no! Worst director of 2017! Future Lead Oscar winners only! This reply was modified 1 year, 4 months ago by TheRedBoy. Wow Sally Hawkins looks so different in this picture. Despite it was mostly snubbed by awards group, we can’t ignore the fact that Dunkirk is still a juggernaut. It’s still a big war film that was appreciated by both critics and audiences and as of now, the Oscar contender that pulled of huge chunks of money next to Get Out. I know BO is not a big thing but it’s still a factor. If it won both DGA, BAFTA, GG and PGA, then it’s over. Unless the other Oscar contenders like The Post can pull huge profits. Also it was supported by WB, the one that gave Scorsese and Cuaron and Mad Max Fury Road (and Suicide Squad) their Oscars. Wow. Gary is not Oldman in this picture. obviously, at least one of them is winning this year. There has always at least 1 acting winner below 40 every year except in 2009 lol. Following Oscar traditions, Bets on Lil Timmy Tim. I’ve decided to adopt “CAN’T SASHAY AWAY THE CHALAMET” as my official awards season motto this year. What Oscar tradition makes you bet on him over her? 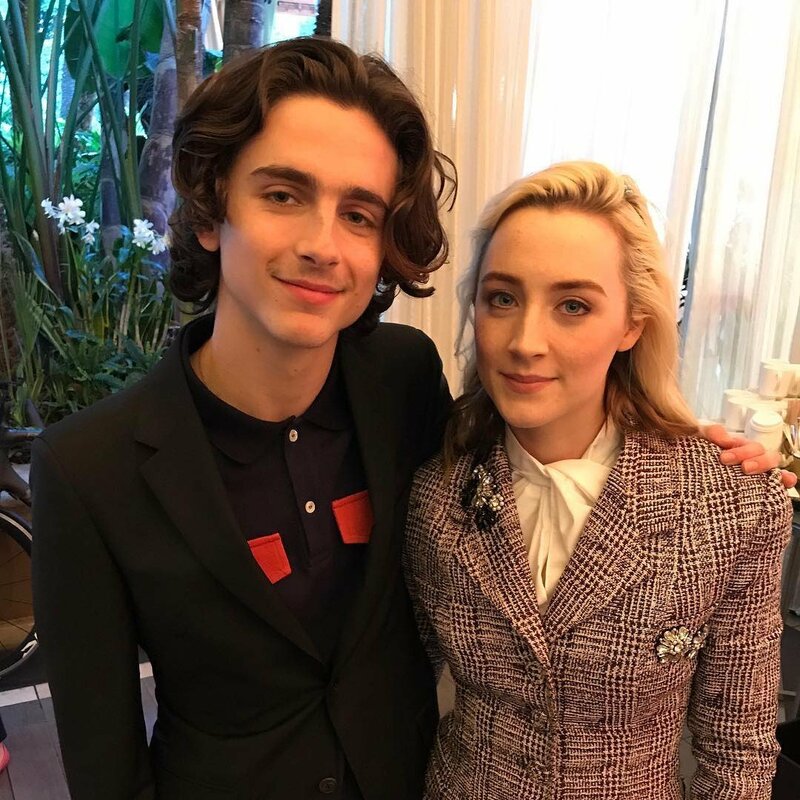 Saoirse has two previous nominations over Timothée, and young actresses are significantly more likely to succeed in Lead Actress than young actors are in Lead Actor. I think it’s interesting that both of them will be facing off against 2 or 3 previous winners. I wonder if it improves their odds of winning. EVERYBODY! Check out The Post’s winning strategy after getting shut out at SAG! BRILLIANT! Don’t we hire the best people! No lies there. Only unemployed and retired people have time to watch all those movies. “The Post? Now there’s a name I haven’t heard in a long time.” — Meryl Streep, c. January 2018. "Sam H wrote: I am not too bothered with the jumping timeline but..."
"Wright deserves all the noms and awards but if Kelly and the wri..."